Hadleigh Holiday Suites01268 683571work01268 683571fax Self-cateringHadleigh Holiday Suites Great Yarmouth offer modern 1, 2 or 3 bedroom suites with those little extra touches which will make your holiday SPECIAL. Just a few steps away you’ll find the popular Regent Road and town centre shopping areas along with a great range of restaurants to choose from. A few minutes further on and you will be on Great Yarmouth’s famous seafront with all of its attractions, amenities and of course its wide sandy beach. We believe nothing can compare to being able to relax in your own holiday suite and so all of ours have been equipped to a high standard and are fully furnished and centrally heated so that you are nice and warm whatever time of year you visit. Kitchens are fully equipped with all that you will need and linen is provided with the exception of towels. All suites have Freeview TV's and DVD players. Your own keys are provided so you can come and go as you please as there are generally no restrictions. A public car park is available at the rear of the property. Our properties are open all year round and these self-contained suites are perfect for holiday makers, people needing convalescence, honeymooners and out of season breaks. Great Yarmouth railway station is only 4 minutes away by car. Norwich airport is 21 miles away. Debit cards are accepted. All apartments are non-smoking. 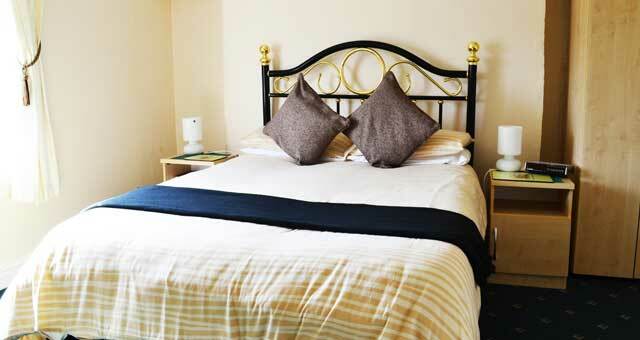 Midweek specials Mon-Fri (4 nights) Weekends Fri-Mon (3nights). Not including Bank Holiday Weekends. Prices for a minimum of 3 or 4 nights only. End of season specials from mid-September. 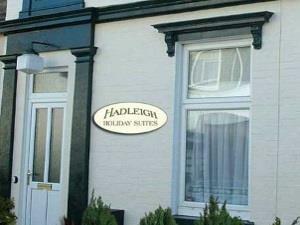 Hadleigh Holiday Suites Great Yarmouth offer modern 1, 2 or 3 bedroom suites with those little extra touches which will make your holiday SPECIAL. The region is easily accessible by road from all parts of the UK. Major trunk roads into Norfolk are the M11, A11, A12 and the A14.from London and the South-east, while the A47 and A14serve the Midlands and the North. On approaching Great Yarmouth follow the signs to the to Sea Front, carry on past Sainsburys, turn right at traffic lights and follow road across Regent Road - 1st turning left and follow road. 2 Holiday suites have strobe lights as well as fire alarms. The rest have fire alarms. L2 fire alarm system installed to property.